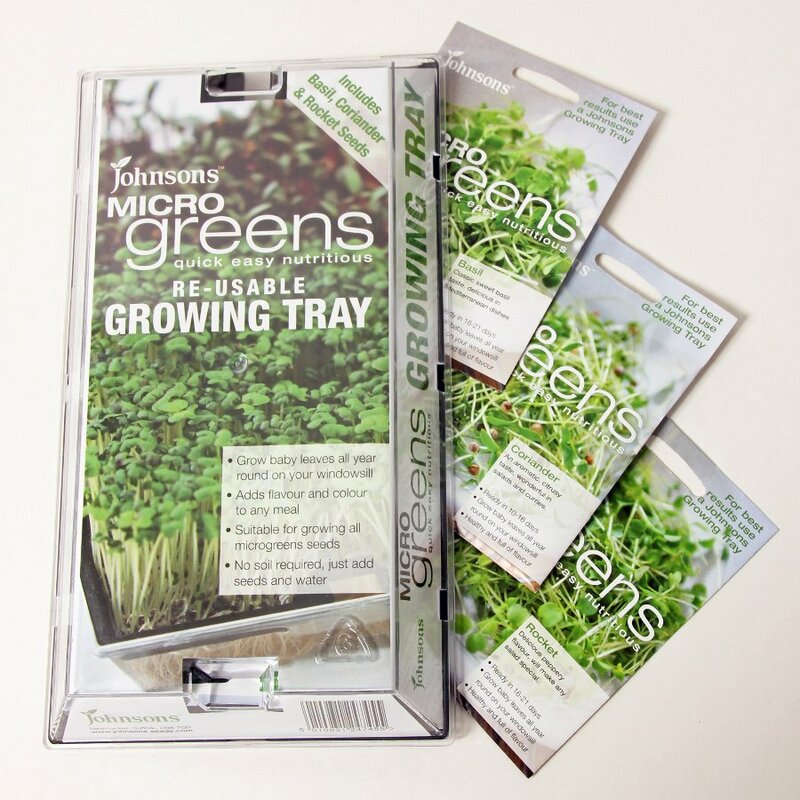 Johnson’s Microgreen’s eco-friendly growing tray allows you to grow baby leaves all year round on your own windowsill. Simply add the seeds and water to the tray provided, no soil required. 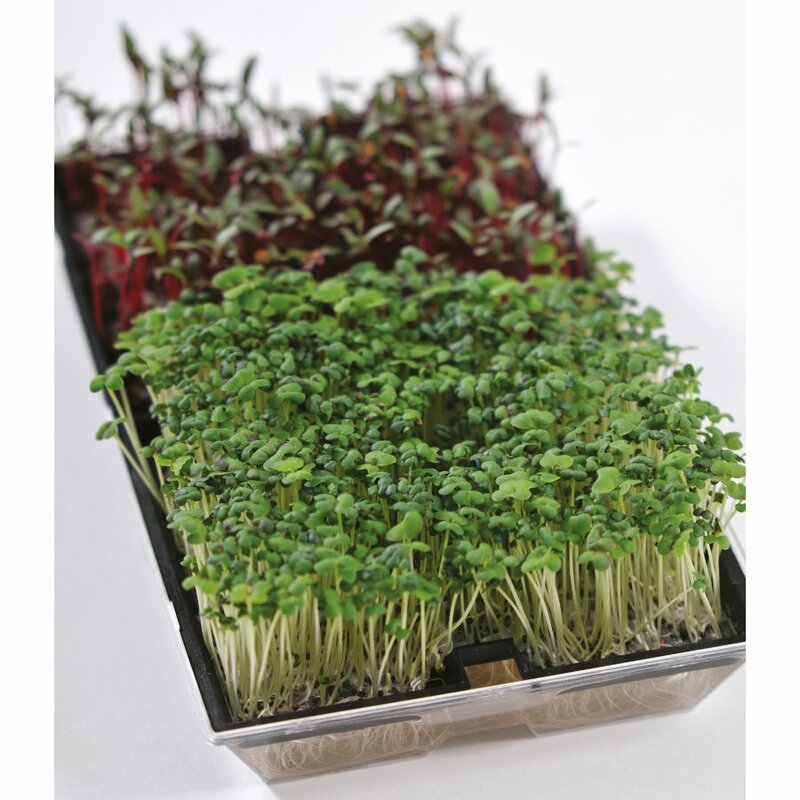 Set includes high quality, re-usable tray and three packets of Microgreens seeds – Coriander, Rocket and Basil. Suitable for all Microgreens seed varieties. 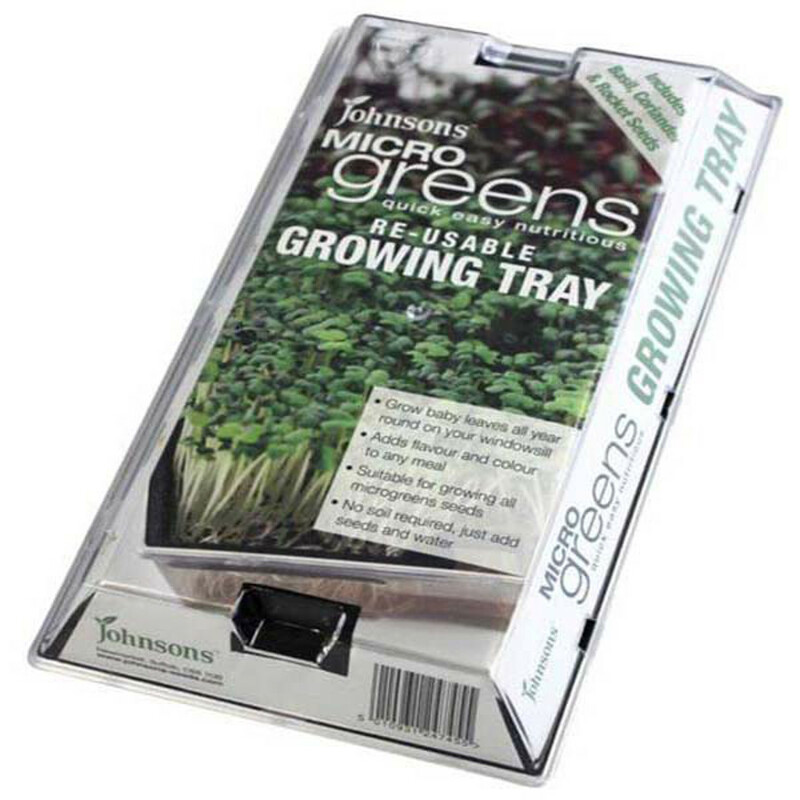 The Johnson's Microgreen's Growing Tray product ethics are indicated below. To learn more about these product ethics and to see related products, follow the links below. Just watching the first lot of seeds to see how long it takes for coriander to germinate and produce a few leaves. 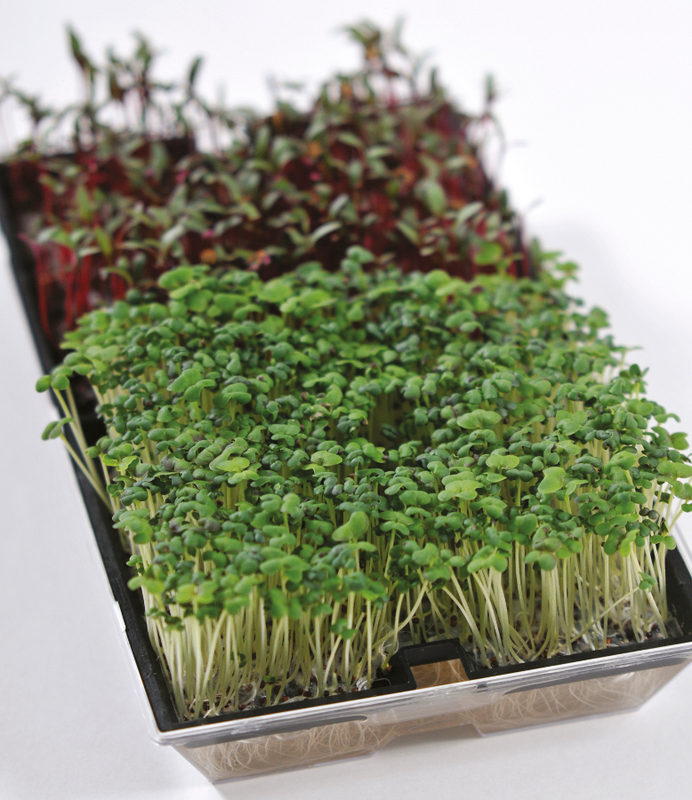 There are currently no questions to display about Johnson's Microgreen's Growing Tray.